To register online, please click here or scroll down the page to view and print the form to be filled and mailed out. Entry forms for both the Rod & Custom Show held on Saturday and the traditional Concours event held on Sunday have been combined and consolidated to provide for cost efficiency and eliminate confusion. This entry form can be used for entering your automobile, motorcycle or bicycle. The registration form has been color-coded for each day of the two-day event. The BLUE areas on the form relate to and indicate registration for the Rod & Custom show held on Saturday, June 2nd. The areas in WHITE relate to and indicate registration for the traditional Concours event to be held on Sunday, June 3rd. 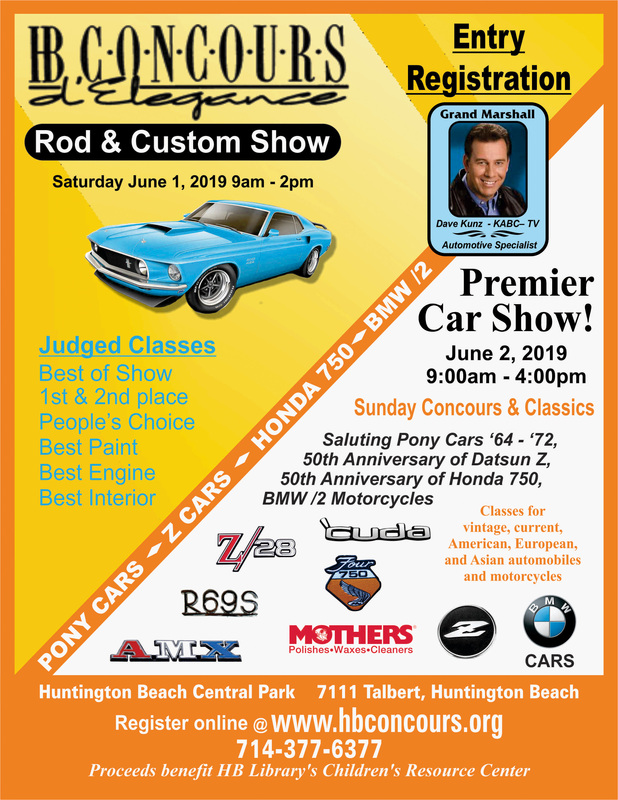 • Print and complete the Sunday, June 2nd entry form “WHITE PORTION” for entering the traditional Concours classic car show on Sunday. 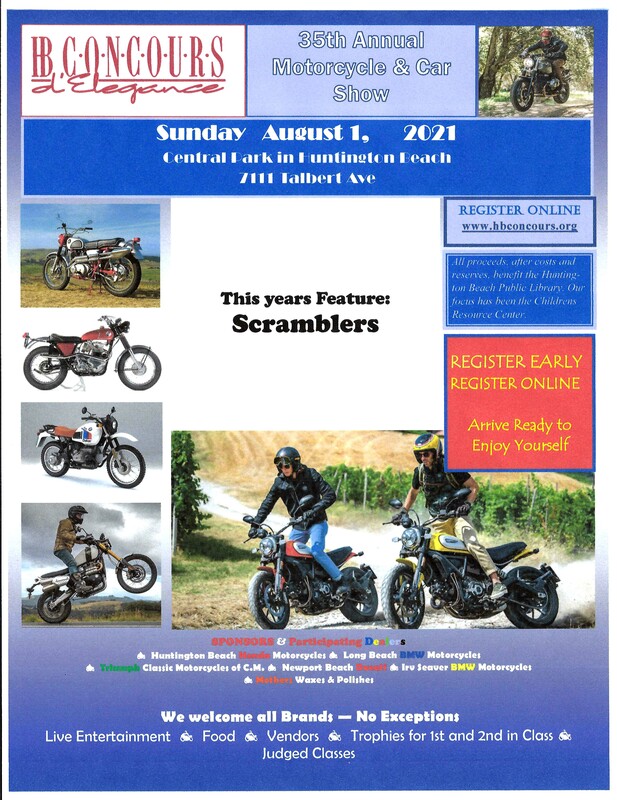 • The standalone Motorcycle entry form can apply to both days. IMPORTANT: Check the appropriate date box at the top of the form to indicate the day you intend to enter. 1. Be sure to sign the Liability Release on your entry form. Unsigned forms will delay your entry being keyed into our system. 2. Please complete one form per entry. 4. Your entry fee covers entry into the event for you and one other person. 5. Overflow spectator parking for the event is available in the adjacent Sports Complex for $1.00. Parking tickets will be issued to cars not showing the appropriate tickets.